Radio Free Asia (RFA) says that typhoid fever is spreading in Ryanggang [Yanggang] province in North Korea. Quoting Japan's news outlet Asia Press and a source in North Korea, the USA-based broadcaster reported on Tue 24 Oct 2017, that outbreaks of typhoid were reported in Ryanggang province this month [October 2017] and related deaths are increasing among the older people. RFA said that North Korean authorities are struggling to contain the disease as it is spreading rapidly since the 1st case was reported in June 2017. Jiro Ishimaru, head of Asia Press' Osaka office, told RFA that the outbreak is attributable to the North's poor water supply, sewerage system, and the Yalu River as many local residents in Ryanggang province drink the water from the river without boiling it. 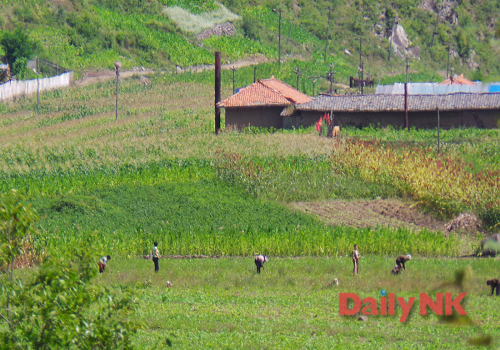 Sources in North Korea are reporting that the authorities are preparing another push to collect rice for the armed forces this fall. However, in contrast to previous years, this time the order has been issued to the military itself. Ordinary citizens have in the past been assigned the task of gathering these provisions, but the responsibility this year has fallen on military conscripts. “Military leadership handed down orders last month detailing the quotas required to be collected by the local 12th Corp. These orders include amounts covering every division and brigade in the entire 12th Corp, which must be collected and presented to division leaders in the coming season,” a source in Ryanggang Province informed Daily NK on October 18.